Earn up to 90 Pickle Points. 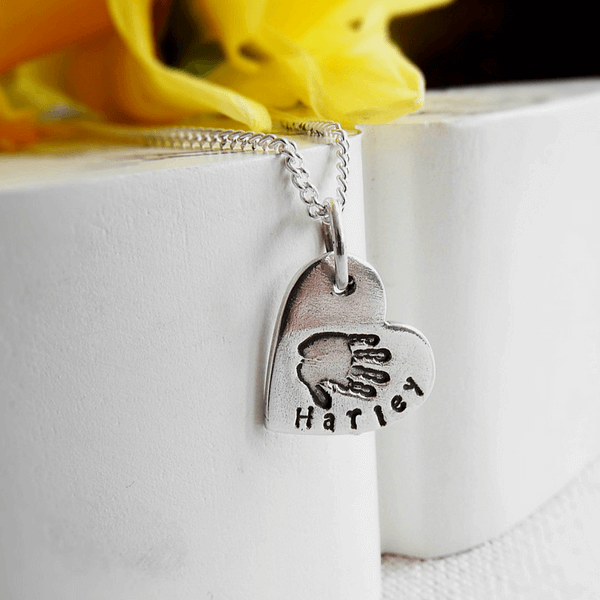 Our Handprint Charm Necklace is both classic and simple, creating the perfect way to display your loved ones handprint or footprint. 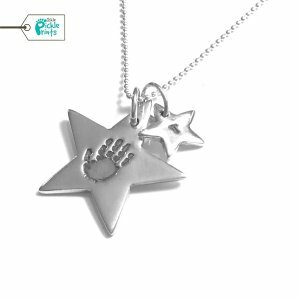 Made entirely by hand and designed to capture the unique detail of a handprint, or a footprint, this necklace is just so special and a very popular choice. 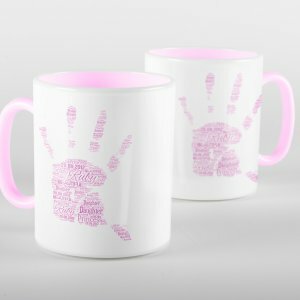 Each Handprint Charm Necklace can be personalised with a print on the front accompanied by a name. 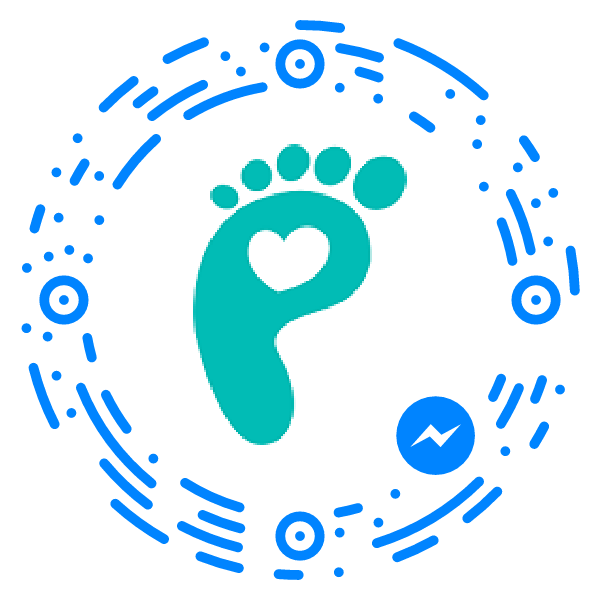 In addition to this, the reverse can be further personalised with a special date or short message of your choice. Each charm comes in a choice of shapes and includes a chain of your style and length, to suit your individual requirements. Made entirely by hand in our studio, these charms are totally unique and come polished to a high shine in beautiful packaging. 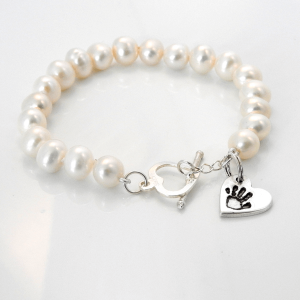 Please note, all of our hand-made keepsake jewellery is made of pure fine silver and is individually hand-crafted. Whilst every effort is made to remove any surface scratches, this is not always possible. Each piece is rigorously hand-polished and automating this process would result in a loss of detail of your child’s prints. Hand-made products are unique, one-of-a-kind pieces. We hope you understand that this means there may be slight variations to the design and layout, adding to the unique, hand-made characteristic of your necklace.